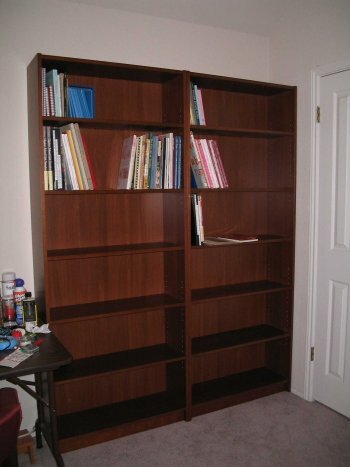 Kathy and I went to IKEA today and bought two bookcases. Then we got home and put them together. By that time we were exhausted and took a nap – not from the bookcases, but from my running and her yoga. Now she’s starting to fill it up with books and stuff. You are currently browsing the Watt's Up blog archives for June, 2007.